The Supreme Court on Friday dismissed a plea seeking full statehood for Delhi, by categorically stating that the national capital cannot be accorded the status of a state. The matter was being heard by a bench comprising of Justice Madan B Lokur, Justice S Abdul Nazeer and Justice Deepak Gupta. The bench, while dismissing the plea said the petition is infrctuous. The court was hearing the review petition seeking to declare Article 239 AA of the Constitution and the Government of National Capital Territory (NCT) of Delhi Act 1991 as unconstitutional on the ground that a territory of India has to be either a full state or a union territory. The plea alleged that the mismanagements in the administration of Delhi on the account of air pollution, traffic jams, water logging, unauthorized constructions, municipality issues was happening due to the constitutional arrangements of Delhi and the elected government required full power to authorize and regularize such logjams. Earlier this year, a Constitution bench on July 4 had unanimously held that Delhi cannot be accorded the status of a state and had ceased certain powers of the Lieutenant Governor stating he has no independent decision-making powers and need to collaborate with the elected government for their aid and advices. 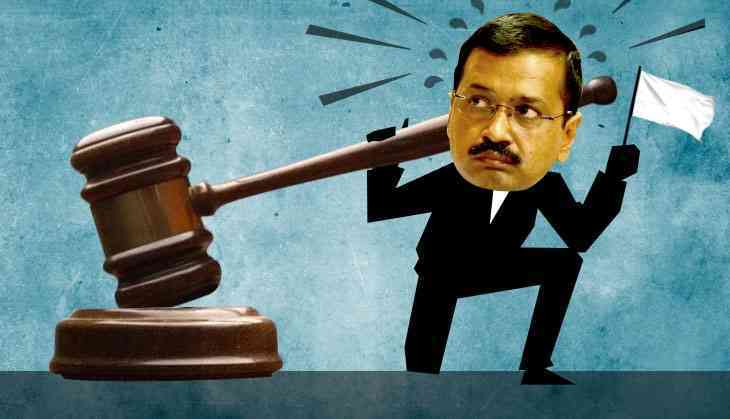 The Supreme Court had ruled that except for 3 issues which includes public order, land and police, the Delhi government has the power to legislate, regulate and govern on other issues. Meanwhile, the manifesto of Bhartiya Janta Party in 2014 Lok Sabha elections and the Aaam Admi Party in 2015 Assembly elections had promised a full statehood to Delhi.